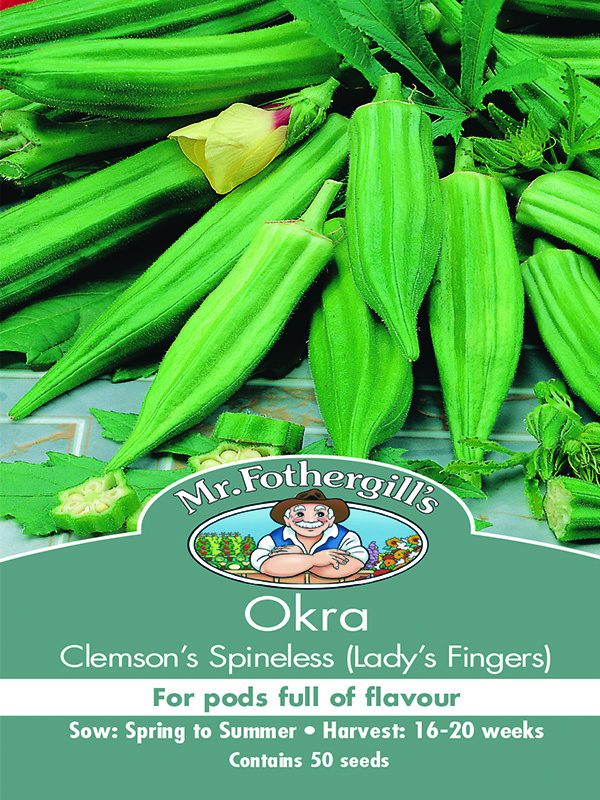 We hope you enjoy these lady’s fingers okra seeds, just another great example of vegetable seeds from MrFothergill’s! 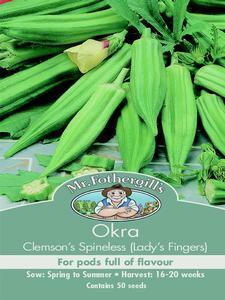 Learn'How To Grow From Seed'or browse through our otherVegetable Varieties! Sow 6mm (quarter-inch) deep in seed tray or punnet, in seed raising mix or compost. Keep moist. Thin out and transplant into final position when about 10cm (4in) tall. Space plants 50-60cm (20-24in) apart. Prepare the soil well by adding organic material and a complete fertiliser.